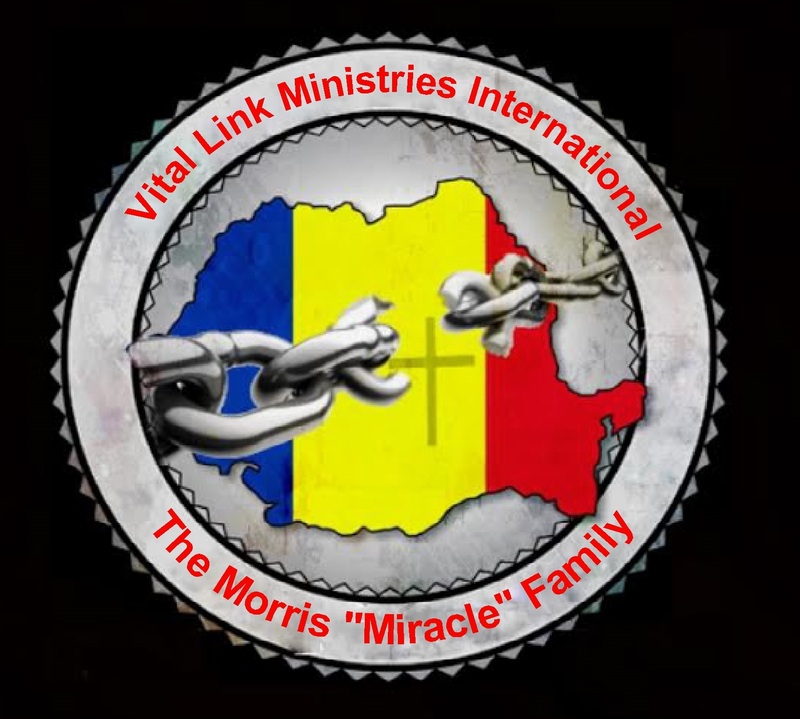 You are receiving this email because of your relationship with "Vital Link Ministries". Please reconfirm your interest in receiving emails from us. If you do not wish to receive any more emails, you can unsubscribe here. "Cristina's House Christian Children's Home" in Sinca Noua, Romania is becoming a reality because of you who have prayed and sacrificed to help our team. "Phase one", where the boys will be living, is now 98% complete. We praise GOD that He has provided and through your generous giving and kind prayers we hope to have this building completed 100% very soon. Now, we are looking forward and trusting the Lord to provide for "phases two & three" of the construction which will include the completion of the "dried in" structure with the purchase of necessary land to complete the living quarters for our girls and the Morris family (this is "phase two"). Prayerfully, we are also trusting Him to provide for the dining hall/kitchen/church auditorium/Christian School building where the Beauchamp family will be staying (this is "phase three"). Therefore; may we count on you today to seek God's guidance then follow His leading by making a sizable donation to "Vital Link Ministries International" and "Cristina's House Christian Children's Home" in Sinca Noua, Romania? We are a 100% local church ministry that follows the Bible and example set before us by Jesus while fulfilling is commandment of the "great commission" in church planting and making disciples. I am humbly asking you to share this in your church, Sunday School class and with all of your family and friends. The "voiceless" orphan children of Romania are depending on you today! "CRISTINA'S HOUSE CHRISTIAN CHILDREN'S HOME"
NEW! STATESIDE NUMBER: 205-383-1031 Calls me direct in Romania! Please note: We are 7 hours ahead of E.S.T. © Unauthorized use, reproduction, modification or sharing of this copyright-protected material in any manner (electronic or otherwise) is strictly prohibited by international copyright laws. We have tremendous news to close out 2018 & celebrate with thanksgiving a fresh new start in 2019! Please read carefully & prayerfully. 2018 has been a very blessed and productive year!Souls saved, baptized & discipled; the Beauchamp family’s arrival; Phases 1 & 2 of “ Cristina’s House Christian Children’s Home” moving forward, and the purchase of needed lands in motion at this time. In the updated, middle photo above you will notice some lines drawn of different colors and shapes. I will share an exciting explanation with you. In the upper right with the turquoise green lines this represents “Phase 1”, the boy’s living area of “Cristina’s House” and its land. Glory to God this section is 100% paid for with the only thing still needed being the furniture for the boy’s bedrooms. 1. Thermopane windows & doors: $7,000 total. The Lord has blessed with half already, $3,500 is what we need at this time. 2. Electrical hookup & wiring installation: $5,000.00 estimated. God has given us $1,000.00, $4,000 remains to be given. 3. Natural Gas approval & installation: $3,500 estimated. Our Father has provided $1,500, $2,000 more is needed for this. 4. Septic Tank & field lines installation: $1500 total. A blessing of $1,000 was designated, $500 will complete this work. 5. Fresh water connection & onsite well: $2,500 total. $1,000 has been received, only $1,500 is left to complete this need. 6. Phase 2 land & building costs of $45,000 are 100% paid for, God performed a “mighty miracle” for this necessity! Glory!! The next “miracle” to report is the Lord has given us the entire plot of landoutlined in yellow! This connects our buildings & will also eventually be developed into a beautiful protected, playground area. Also, mature fruit trees & space to grow our food await our arrival! We are in negotiations on the parcel of land outlined in red which will be for our future, modest church building. Please pray fervently! Looking at the white lined area this is for “Phase 3”, the Beauchamp’s living area and additional girl’s quarters. VLMI has a portion of dedicated funds for the land, the remaining need stands at $10,000.00. Our team is asking God to provide this amount very soon! There remains 3 parcels with pink outlines that are available if the Lord allows for future development. May His perfect will prevail! We are asking your prayers for the remaining amount needed to be provided so that we may continue moving forward with the completion of “Phase Two” at “Cristina’s House Christian Children’s Home” as well as the acquiring the remaining needed lands. In the photo below is “Phase Two” (the girl’s living quarters) of our Children’s Home. You may help to complete the construction by purchasing a $5 “ virtual brick” via this secure link: https://paypal.me/pools/c/82xkksQPiu or designate your special gift for “ virtualbricks” and send it to Emmanuel Baptist Church, the mailing information is at the bottom of this letter. This will place the name of your choice on a permanent memorial in Sinca Noua, Romania when “ Cristina’s House” is completed. Approximately $50,000is currently needed to complete the interior of the building. Everything we do and that which is accomplished by our team at V.L.M.I. will always be “ALL FOR HIS GLORY”! !